Though there are hundreds of online course about personal finance on the internet, we are confident that this is the most comprehensive course that you can lay your belief on. The course is lectured by Chris Haroun, who is one of the best selling business lecturers on Udemy. 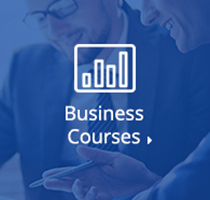 With his experience of teaching more than 150,000 students all over the world, he will provide you with a complete business education with 3 courses in 1: save more money, protect more money and make more money. The course not only provide you with applicable knowledge and hands-on experience but also include a comprehensive excels spreadsheet containing over 25 exercises so that you can better your understanding. Moreover, it also provides all the tools you need to save, protect and make money. – What are the secrets of billionaires? Description: 3 Courses in 1! Save,Protect & Make More! By an Award Winning MBA Professor, VC & Best Selling Online Business Teacher.